Strong launches in the Americas, Europe and Australia* have propelled the cumulative sales total for Super Smash Bros. for Nintendo 3DS to more than 2.8 million sold worldwide. This first-ever portable installment of the game has resonated both with fans and critics, and its initial sales set Nintendo up for a strong holiday season. 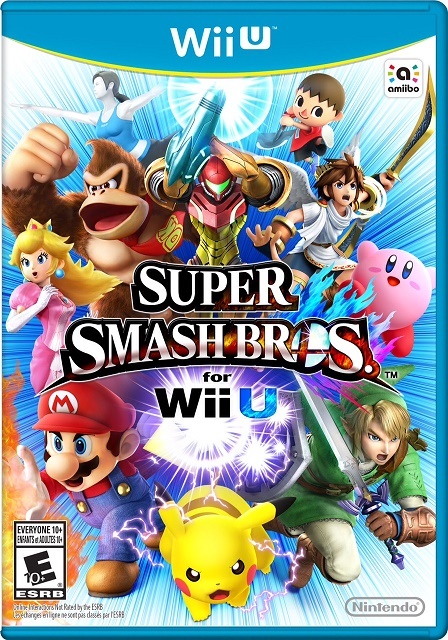 To keep the momentum going, Nintendo has unveiled the launch date of the Wii U version of the fighting game. The Super Smash Bros. for Wii U game will launch in North America on November 21, just in time for the heart of the holiday shopping season, at a suggested retail price of $64.99. The first wave of Nintendo’s interactive amiibo figures will launch the same day at a suggested retail price of $13.99 each. Twelve iconic Nintendo characters will be included in the first wave, with a second wave of six more figures set to launch in December. The amiibo figures can interact wirelessly with compatible games in unique new ways, providing fresh game-play experiences and a great value for consumers. Players simply need to tap them to the Wii U GamePad controller to activate them, and some figures offer compatibility across multiple games – no additional equipment is required. Fans can buy and collect amiibo, to bring them closer to the games and characters they love. Super Smash Bros. for Wii U will support amiibo when it launches on November 21, and upcoming amiibo compatible games include Mario Party 10 and Yoshi’s Woolly World, with more to come. Mario Kart 8, available now in stores and the Nintendo eShop, will also support amiibo in the future. A software update may be necessary to use amiibo functionality for these and other amiibo compatible games in the future. For those who want to play Super Smash Bros. for Wii U with their favourite Nintendo GameCube controller, Nintendo is introducing an adapter that lets up to four original Nintendo GameCube or WaveBird controllers work with the game. The adapter will be available at a suggested retail price of $22.99. Nintendo is also launching a standalone Nintendo GameCube controller emblazoned with the iconic Super Smash Bros. insignia at a suggested retail price of $32.99. Additionally, Nintendo is offering a special bundle that includes Super Smash Bros. for Wii U, one Nintendo GameCube controller and one adapter at a suggested retail price of $99.99, available exclusively at EB Games. All of these items launch November 21. Never one to be overlooked, Captain Toad: Treasure Tracker was a critical and crowd favourite during the E3 Expo video game trade show in June. The game launches December 5 at a suggested retail price of $44.99 and lets players take control of intrepid explorer Captain Toad as he sets off on adventures like exploring a haunted house or escaping a smoldering volcano. Even though Toad characters have appeared in video games since the original Super Mario Bros. game on NES, this is the first time that one of them gets top billing. 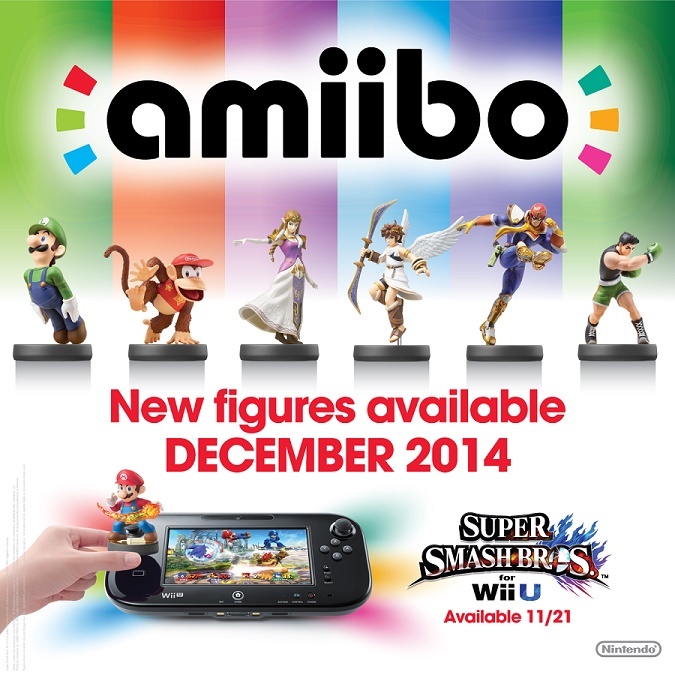 The game will also support select amiibo figures in 2015. For more information, like the Nintendo of Canada Facebook page and follow Nintendo of Canada on Twitter. * Super Smash Bros. for Nintendo 3DS launched on September 13 in Japan, October 3 in the Americas and Europe, and October 4 in Australia. Cumulative sales reflect life-to-date totals in each of those regions. Data from Europe primarily covers Friday October 3 and Saturday, October 4, as the great majority of retail outlets are closed on Sundays across Europe. All sales figures are Nintendo estimates for both digital downloads of games and physical sales. This entry was posted on Tuesday, October 7th, 2014 at 8:15 am and is filed under Everyone 10+, Fighting, National News, New Releases, Upcoming Releases. You can follow any responses to this entry through the RSS 2.0 feed. You can leave a response, or trackback from your own site.